Back in 1911, Surveyor Proposed Widening Spring Road. 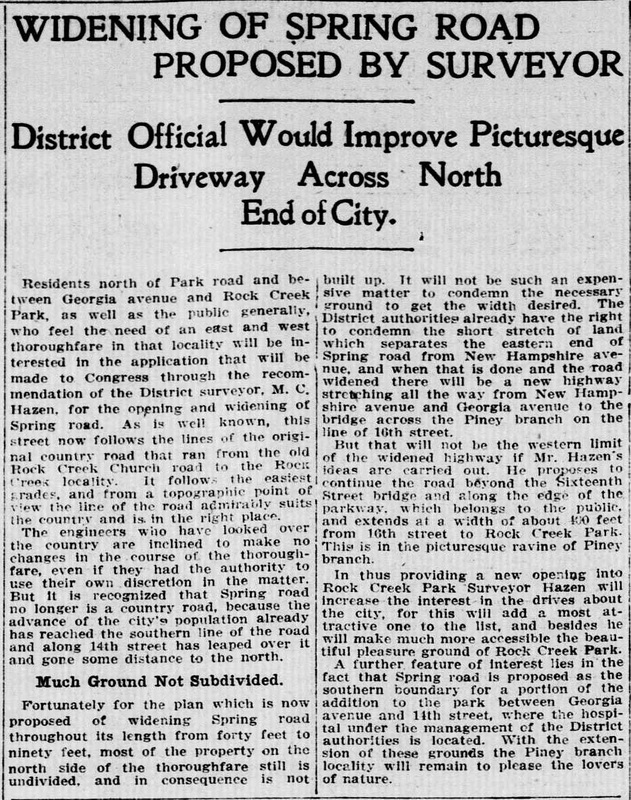 | Park View, D.C.
Back in 1911, Surveyor Proposed Widening Spring Road. In looking through old newspaper articles, I found the following from the Evening Star (Oct. 28, 1911) of interest. The article discusses the recommendation to extend Spring Rd east of Rock Creek Church Rd to New Hampshire and Georgia as well as widening the road from 40 ft. to 90 ft. 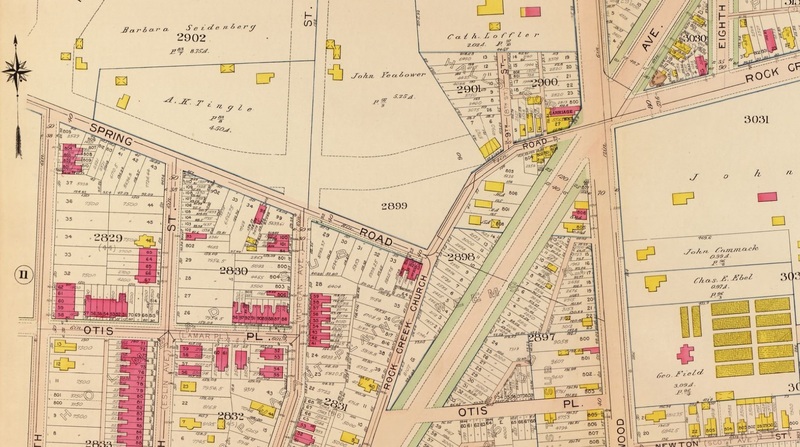 The detail from the 1907 Baist’s real estate atlas of surveys of Washington shows where Spring Road’s eastern termination was at that time, so it shows that the extension was successfully completed. This entry was posted on August 7, 2017 at 7:01 am and is filed under Streets and Trees. You can subscribe via RSS 2.0 feed to this post's comments. Widening this road or making it a one-way would really improve things. Yes – Quincy & Spring would make a nice pair of one way-east west routes between Georgia Ave to 14th Street. I really haven’t heard much about how the city plans to deal with the increased traffic on Spring from the Hebrew Home development. Making Quincy/Spring paired one ways is a sensible solution, I think. Love that history, keep it going, sorry I missed you guys yesterday.